Hello everyone, it’s The Barron here with Part 5 of our 2014 Supercoach Scouting Report. Today we’ll be taking a gander at the Essendon Bombers, a team who’ve been in the papers for all the wrong reasons these past 18 months. The Barron isn’t here to talk about the past or dwell on the media circus that surrounded Windy Hill in 2013. He’s here to look at 2014 and how the Bombers are shaping up for next season. BVC took a quick fly over Boulder, Colorado in the US to watch the Bombers with their altitude training, and let me tell you, its tough stuff. The Barron is used to soaring giddy heights in Supercoach circles, but I almost passed out from being up that high. Those Rocky Mountains sure are a tough climb; I can’t imagine how the Bombers are managing their training workload! This is going to be a bit of a if and buts type column as there are a number of players from the Bombers whose fantasy football fortunes could go either way based on the positions they play next year, as well as some really good players having their Supercoach worth lowered a tad by positional changes. Anyway, let’s get cracking with another Supercoach 2014 Scouting report. Technically finished 7th on the ladder, they were dropped to 9th as part of their punishment for the drugs saga that plagued them most of the year. They’ve still got the talent from last year, with two quality additions in Chapman and Edwards, as well as the kids in Merrett and Fantasia (Norwood have a great history of producing quality players recently, keep your eyes on this kid!). They should be able to deal with the loss of Crameri and Gumbleton isn’t really a loss if the kid couldn’t ever get out onto the park! Chapman is going to be the real x-factor for the Bombers here, if he can stay healthy and the Bombers can get 18-20 quality games out of him for the year, he could be one of the best pick-ups for the year and will greatly improve the Bombers side. I can understand why the Cats let him go, but I still think Chappy has some juice left in the tank. The Bombers have changed coaches, with Mark Thompson taking over for the suspended James Hird, we’ve seen what he’s capable of with the Cats, so he should get the Bombers firing on all cylinders for 2014. Don’t think you can discount a potential FU attitude the Bombers may have rolling into 2014 also. Essendon have a tough first 4 weeks on the 2014 schedule, with games against North, Hawthorn, Carlton and Fremantle. Like most Vic clubs, they only play out of Victoria 5 times, with only 1 trip to Perth scheduled in Rd 4, which will be a bonus for them and they’ll have their last 4 matches in Melbourne also. Double up games will be against Collingwood, Western Bulldogs, Sydney Swans, Richmond and Carlton, all except the Bulldogs were top 8 sides last year. They’ll all be battles, but the Bombers are good enough to win those games if they play their best football. The final 4 games for the Bombers isn’t exactly a cakewalk either, with games against Richmond, West Coast, Gold Coast and Carlton. West Coast game should be a win, but the Gold Coast can no longer be counted as easy win and Richmond and Carlton are always tough matchups. Still, it’s sometimes in those tough games that the best SC scores are seen in, so don’t completely write the Bombers players off come SC finals. If The Barron was given the choice of picking one player to start a footy team with, I’d be hard pressed to pick someone else over Jobe Watson. I’m that high on this guy, he is without a doubt one of the top 5 players in the competition in my eyes. His SC average fell nearly 10 points in 2013, but I’m not overly concerned about that going into 2014. He’s still a hugely talented player, and I think he’ll be back up to the highs of 2012. An excellent captain choice most weeks, 13 times he scored 110+, with noticeable scores of 138 in Rd 4, 144 in Rd 8 and 166 in Rd 9. If we exclude the 24 he scored in Rd 15 that was due to a collarbone break, that puts his average back up to 116.3, which would have moved him from being the 11th ranked player in Supercoach to 6th. The only real difference between 2012 and 2013 was when he had a bad game, he had a real bad one, with scores 67, 66, 73 and 79 to his name. In 2012 he still had 4 games under 100, but two were scores of 93 and the other two were an 87 and 73. Watson didn’t dominate any categories compared to other SC premiums like Pendlebury, but still ranked 10th in Disposals per game, 12th in Contested Possessions per game and 9th in Handballs per game. His clearance work is still top notch and his average of 5 a game puts him in the top 30 in the AFL. I’m getting on-board with Watson in 2014, I’m seeing a repeat of his Brownlow Medal winning year, and he should be seriously considered in your side and also has the advantage of being a non Round 8 bye premium, something that cannot be overlooked for those of you who want to really smash those 3 bye rounds out of the park. Is a good 80K cheaper than Ablett/Pendles and 30K cheaper than Selwood. If you’re feeling like you’re too packed with round 8 byes, or need to save a bit of cash from the top 3 midfielders, Watson will be your man. Hibberd felt like a bit of a forgotten man in DEF last year. Essendon had a few handy players down back in 2013 with Goddard and Heppell, both who had higher ownership % than Hibberd, with Heppell being owned almost twice as much as Hibberd, despite having the lower average for the year. Now the spotlight should move over to Hibberd with it being announced that both Goddard and Heppell being switched to MID only eligibility. Hibberd was terrific off half back for the Bombers in 2013, providing plenty of run from there and that reflected in his stats, ranking 10th in Rebound 50’s per game, 4th in Total Rebound 50’s, 20th in Uncontested Possessions per game, 17th in Kicks per game, 20th in Total Effective Disposals and 21st in Effective Disposals per game. Had a terrific year by foot also recording a 76.9% kicking efficiency, up from the 66.7% he recorded in 2012, which is even more impressive when you consider the fact his kick count went up from 11.8 in 2012 to 15.2 in 2013. Hibberd recorded 20 or more disposals in 18 of the 22 games he played, so him finding the pill hasn’t been an issue either. I still have a feeling that Hibberd may be overlooked again as a quality DEF option in 2014, and it’s understandable with the additions of the McVeigh’s, Mitchells and Walkers, but don’t sleep on this guy if you find yourself slightly short of cash for one of the big ticket top 5 defenders. Will at worst have a repeat of 2013, and if he’s lucky could hopefully move past the 100 point average. Many may decide to skip on Chapman after his 16 game absence last year and rumours of Geelong only offering him a 10 game contract for fear his body could no longer stand up to the rigours of AFL football on a constant basis. And that all makes perfect sense, Chapman is looking very much the definition of a boom or bust pick next year and it all depends on how healthy he is for 2014. If you get 20 games out of him for the year (he played at least 19 games a season between 2003 and 2012) you’ll be patting yourself on the back, if you get another 6-10 game year from him, you’ll curse yourself for picking him (and others will cheer because they didn’t). Also think he’ll have a bit of a “prove the doubters wrong” mentality, so he’ll likely be gagging to go out there and prove wrong the people who said he’s cooked. We saw what he’s still capable of in the Finals game against Port Adelaide where he recorded 20 disposals, 4 goals and 136 Supercoach Points. So it’s a roll of the dice for Chappy and you have to ask yourself how confident you are in his body holding up. He will be 32 going into 2014, so his best may be behind him, but he’s been an absolute SC star in the past. Do we write 2013 down as a bad run with injuries? Or is it a sign of things to come? Consider him, but know that picking him may come with some potential injury risks if his body does end up breaking down. Only played the 5 games last year, Joe didn’t look completely lost out there and did manage to snag a high score of 98 in only his 2nd game of AFL football. Will have another pre-season of AFL football under his belt, which will undoubtedly help him improve on last year’s performance. If he looks likely to get games, many may consider him a decent proposition as a F5 or F6. As always, KPF don’t exactly have high upside over their midfield counterparts, so you can’t expect consistent scoring out of them, but we have to look for potential cash generation anywhere we can. If Hurley down back eventuates on a full-time basis, it means it opens up a forward spot, which potentially will be filled full-time by Danniher, which means more games, which means more cash he’ll earn so we can upgrade him later. For mine the FWD line is looking like the hardest part of Supercoach this year, so I’ll be considering Joe, but he’ll be very low on my list at this stage, but if Tom Boyd from GWS is one you’re considering adding to your forward line, then Daniher is an option you can consider since he’s likely to have more opportunities up forward, not to mention having better on-field support. I know plenty of people were jumping aboard the Paddy Wagon after his fantastic 2012 season saw him average 105.5, but unfortunately he wasn’t able to repeat his performance last season, his average falling 15 points, which saw him slide from being the 5th ranked ruckman in 2012 to being the 13th ranked ruckman in 2013. Paddy can be a bit of a hot and cold player too. When he’s on, he’ll be flying to the heights of Supercoach stardom, but when he’s cold, he’ll look like he’s struggling to get off the ground. Ryder can score big on his day, shown by the 145 he scored against Freo in Rd 3 and on the flipside there are the lows, with Ryder recording two scores of 54 in Rd 1 against Adelaide and Rd 10 against Sydney. Almost half of Ryder’s games, 8 of 17 to be exact, were below his season average of 90, with another 3 scores between 90-99 points, 3 games between 100-102 points and 3 other scores of 145, 110 and 127. Those under 90 scores were the biggest difference between his 2012 and 2013 seasons, with him only scoring below 90 4 times and scoring 100+ 8 times (with a high score of 165!) in 2012. Part of the reason for his lowered scores was his kicking efficiency dropping from 65.9% in 2012 to 52.9% in 2013, his marks dropped from 5.9 to 3.9, with his contested marking dropping below 1 per game, as well as due to playing more ruck, his goal count dropped to a career low 10 goals. He did record some improvements though, with his increased ruck duties seeing him record a career high 7.1 hitouts to advantage, as well as 3.5 clearances, which was another career high. The highest scoring defender in 2013, and the only one to average 100+ points for the year, Goddard’s SC potential has been dramatically dropped with the news that he’ll only be eligible for midfield selection in 2014. He’s been an automatic lock for a majority of teams in defence the past 3-4 years, a move into the midfield will most likely see his ownership numbers plummet as there are more than a few midfielders who will have higher scoring potential and will cost less initially. With the 572.2K pricetag, if you’re spending that much in your midfield you’d usually want someone who has some chance to become elite in 2014, which Goddard doesn’t really have. Goddard fit that bill in defence, a move to the midfield will see him move down the positional rankings substantially. His 2013 scores ranked #1 in defence, but equal 18th as a midfielder, which is just the sort of repeat rankings you can probably expect next year. Because of that I think most will be skipping Goddard in 2014, though there will be the odd few that jump on board to have him as a POD and he’ll be a solid buy for you if history repeats itself. Originally Heppell was a guy I was really high in defence on for the 2014 season until word hit that he, along with Goddard would be a midfielder only in 2014. Like a majority (nearly all I think!) of players that have been switched from defenders to midfielders only, this is going to greatly hurt their ownership % come the start of the year. In the end this may make the decision to have Hibberd in your SC defence a much easier choice to make. Before he was potentially competing with Goddard and Heppell for a spot in your side, now both of them are seemingly out of the equation for 2014. We won’t be short of quality options for our midfield in next year, so this is nothing to be upset about (unless you really like Heppell’s hair!). Heppell showed he could be a quality midfielder, ranking 2nd at Essendon for Clearances per game at 4.3, but was often let down by his kicking, recording a terrible 51.4% kicking efficiency from 14.2 disposals by foot, which was the worst kick rating by the 36 players to average at least 24 disposals per game. He has recorded kicking efficiency % of 64.1% in his rookie year and 66.8% in 2012, so he does have the ability to improve this area of his game. There are plenty of midfield options going for the price you’d be buying Heppell at, so unless you want to pick him as a POD (much like Goddard) then I don’t think many people will be slotting Heppell into their starting sides come the beginning of the 2014 season, but he’s not a completely terrible choice either and should provide some solid scores for you in 2014, but he is one you’ll most likely be looking to have to upgrade later in the year. If he can improve his kicking efficiency, that’ll go a long way to making him a really interesting proposition for 2014. Hurley looked like he was beginning to fulfil his potential at the start of 2013, averaging 90.75 after his first 4 games. Then the usual injury run hit and everything was downhill from there, only scoring above 90 twice in his remaining 10 games. It’s been a hard run for Hurley so far in his AFL career, with a constant stream of injuries preventing him from getting a sustained run on the field as well as being switched back and forth between forward and defence a few times this year by James Hird. But my interest in Hurley was peaked when Bomber Thompson said he planned on playing Hurley as a defender next year (noting him as a “natural defender”), rather than as a key forward. He was trialled back there for a few games last year and looked good, but once again was switched forward, so we didn’t get a sustained look at him. Hurley played his junior football years down back which saw him being named as Full Back in the All-Australian TAC Cup Team of the Year sides in 2007 and 2008, so he knows that area of the ground. He’ll be a skip for most people due to his consistent injuries, which is completely understandable, but The Barron will still keep his eyes on Hurley going into 2014, this is purely a speculative pick at this stage, and it is only for those that like to take risks. I think he has that attacking Nathan Bock/Harry Taylor type potential playing down back, while still occasionally switching forward. If everything goes right for him (which you can say about any player really), he could be a nice pick-up at his price (especially for a FWD). Of course you have to go in knowing the injury risks that Hurley seems to always carry for him, and he’ll likely miss 10+ games for the year if history repeats itself. I grabbed Hurley back in 2012, but he made me a bit gun shy after that, but I’m feeling like I may be ready to forgive him. Or completely write him off if he burns me again! Part 1 of the big ruck duo for Essendon, Bellchambers played a career high 18 games last year, while ranking 16th in Total Hitouts and 16th in Contested Marks per game. May appeal to many due to being a starting ruckman who’s not a premium pricer, as was pointed out by that magnificently Mad Irishman in his Ben McEvoy Turncoat column, it was stated that McEvoy saw his numbers decrease significantly when playing with a 2nd ruckman, and I think that’s what’s likely again for Bellchambers in 2014. In a 4 games Ryder missed last year, between 4 and 7, Bellchambers posted 3 above average scores of 99, 109 and 94 and a dud of 60 in Rd 6. The next 3 games Bellchambers played when Ryder returned, his average sunk back to normal with scores of 85, 51 and 84. Ryder was out again in Rd 21 and Bellchambers again scored above average with a score of 91. So in 4 out of 5 games that Ryder missed, he scored well above his yearly average. Is that enough to base an entire selection decision on? Probably not, but it’s still something to think about. Skipping Bellchambers isn’t a reflection of him as a player, just that his scores will be limited somewhat by sharing ruck duties with Ryder, and he’s not an athletic beast like Ryder, Cox or Nic Nat are, players have skills elsewhere that allow them to still average good scores while playing part time ruck. Has the added bonus of a FWD eligibility in 2014, it’s appearing that this swing position is not going to be as useful as it was in 2013, so this isn’t enough of a bonus for us to be considering Bellchambers. Mark him down for a repeat of his 2012 and 2013 numbers as long as he’s time sharing with Ryder. If they do decide to move Ryder up as a full-time forward to cover the loss of Crameri and the move of Hurley down back, then pop him back up onto the consider list as his solo ruck numbers are good enough to consider. I still got the burn marks on me from 2012 after I traded him in after Round 8 where he was averaging 137.37, only to see him average 82.75 for the rest of the year and score above 100 twice more. Don’t get me wrong on Stanton, he’s a very good player and if he gets let off the chain (like he did at the start of 2012) then he’s a very dangerous player, but oppositions have made a note not to let that happen much these days! Very much an outside player, he only averages 7.1 contested possessions a game, which is only 28.5% of his 25 disposals per game. The 17.9 uncontested possessions he averaged was the 5th highest of the top 50 possession winners in the AFL. Also recorded excellent numbers in the Inside 50’s category, netting 5.3 a game which was 6th in the AFL. He is prone to the odd quiet game if the opposition decide to tag him; he had 2 games under 50 and 2 games under 60. Overall, he’s a solid pick, with 6 years of a 90+ averages and 1 year above 100. He’s much like Kade Simpson was to us previously, a solid player, who hardly ever misses a game (Stanton has played 20+ games since 2006), but as he hasn’t been switched to DEF eligibility like Simpson was, he’s not really worth grabbing in Supercoach for 2014. So what do you guys think of Essendon’s chances in 2014? The Barron has them pencilled in for a top 8 birth and potentially making it to the semi’s come finals time. Any players you’d like to discuss? 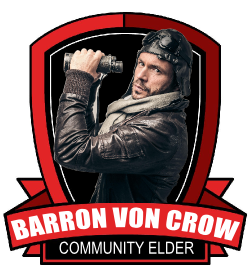 Let us know in the comments below or send me some air mail on the Twitters @BarronVonCrow. Yes… Great read Barron! Mate you know your footy and your analysis of everyone stated was spot on in my opinion. Joe Danniher is an interesting one, proved he can more than handle the lead up role with his 98 of round two… Big bucks but a big chance now to get a real crack at it and I recon Thompson will let loose with him. I think my only lock from the Dons will be Jobe at this early stage. I can’t see anyone else at this point making it on my payroll from Essendon! Agree with Dools. Considering Jobe as M2/3 lock. Chappy I'm going back and forth on yet as you mentioned Barron if he can get 18+ games will be a strong SC earner. Both these two will be playing with a chip on their shoulders (for different reasons). Other than those two, rest of the Dons you mentioned will be on watch. It's a shame more people aren't avoiding Jobe due to the supplements BS, he'd be a bit more of a POD ..
Face the facts Barron, the only way Watson will hit the highs of 2012 is if he gets back on the injections. Those 10-points/game along with his dodgy Brownlow are down to the "pharmacologically experimental environment never adequately controlled or challenged or documented" (Switkowski). +1 dont understand why everyone is on the Jobe train.. I wouldnt worry about ASADA. They are a rable. Has anyone looked at Ben Howlett? He showed at the start of last year that he can pump out big scores with some time in the guts and he looked good last night. Hello mates, good piece of writing and fastidious urging commented here, I am really enjoying by these.